My brother, David, started following Jesus in 1982. 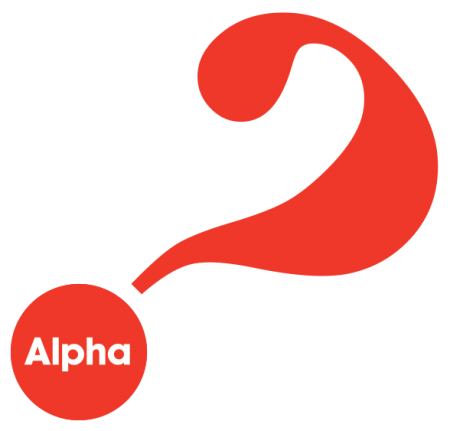 As a result of attending an Alpha weekend he was a completely transformed man and I immediately volunteered to help on the next Alpha course. In 1984 I was overseeing Alpha at the birthplace of the course, Holy Trinity, Brompton, prior to leaving to help in one of their early church plants. There too we continued to offer this course which introduces people to Jesus. From 1997 to 1999 I served as the Alpha Chaplain for Sub-Saharan Africa, where I witnessed God continuing to use this evangelistic tool in amazing ways. Having returned to parish ministry, in 2004 I moved to Richmond Hill, Ontario, to lead a small, elderly congregation with no children or youth. I quickly discovered that most of those attending were unable to clearly articulate the Gospel and showed no desire to share their faith. They had “done” one Alpha video course, but there had been no seekers attending. Despite expectations that I would immediately re-start Alpha, I stated that we would wait until a seeker arrived wanting to investigate the faith. Ada arrived one Sunday morning seeking answers to questions about her boyfriend’s faith. I suggested she participate in the Alpha course. She asked when and where it would take place. I responded that she could choose the time and place that best suited her. On March 29th 2005 we started Alpha with four guests – a married couple, Ada, her boyfriend Andrew – and one helper. We sat around the dining room table of Ada’s parents’ home, each with an Alpha manual, a Bible and a pen. I explained the goal of the course: “To explain the Good News about Jesus and His death on the Cross in such a way that each person present would be able to confidently explain it to someone else.” I emphasised that in order to explain something well we need to first comprehend it ourselves. In order to accept or dismiss Jesus we need to grasp who He is and what He achieved on the cross. These topics are key foci during the first two weeks of Alpha. The format was simple: drinks and cookies on the table, a simple opening prayer and then two hours of discussion on the topic of the session. We went at the pace of the slowest member, and throughout I asked each person to “teach” us what they had learned. By the end of the third week, having spent just six hours together, all three of the non-believers had accepted Jesus’ invitation to follow Him as Lord. Ada was baptised a few weeks later, bringing over thirty of her friends and family to the service. She and Andrew are now married with two children, and she oversees our nursery ministry. Her sister, Briana, attended an Alpha course in 2006 and also became a follower of Jesus. She and her husband and their three children all attend our church. This format of sitting around the kitchen table and enjoying a two-hour discussion has worked very well. I am constantly starting new courses, fitting in with the busy lifestyles of the local community, and sitting in people’s homes where they are comfortable and feel on “home turf”. I have run a course for one person and for up to eighteen, but the average size is four or five. I have had four courses running concurrently at different times of the week, but most of the time I have one or two on the go. This year I started with two courses: the first in a senior’s home where three of the participants live, and the second in a family home with two couples. One of the couples in this second course was interested in Alpha but was going to be moving to Newfoundland during the course. We started the course all together and then decided to complete it using FaceTime after these previous explorers decided to follow Jesus. Our next course started in mid-April with nine folk signing up. This fall we’ll offer our most recent course in response to questions about Jesus from a life-long Buddhist. This approach to disciple-making is intentionally slow and labour-intensive, but this too is the beauty and benefit of it. I have been able to spend an intensive amount of time with most of the people I pastor; getting to know them, being invited into their homes and giving every person the opportunity to ask their questions. I have been able to ensure that everyone has heard the Gospel and is equipped to share it intelligibly and confidently with others. As a church we have all enjoyed a shared experience with a shared language. The benefits have been, and continue to be, enormous. On the subject of the Alpha videos I have been a strong advocate of their use in the past. They provide consistency, they don’t have an “off night”, and they are not offended by anyone who disagrees with them. Videos can be also be a great help when there is no-one available to prepare the talks or discussions. However, they are not tailored to the specific group, they can be difficult to pause, and they can lead to a dependency by leaders who might be better served by grappling with the topic themselves. So my advice would be to use the videos if they are helpful, but allow extra time to pause them frequently, to allow for as much interaction as possible. Eleven years after that first Alpha the demographics of our Church community have changed significantly. From a church that was on the verge of closure, we are now a healthy congregation. About forty percent of the Sunday congregation is under the age of eighteen and the majority of the adults are in their thirties and forties. Our youth group is thriving and now has their own band which leads the music once a month in our Sunday worship. We have many areas to work on and develop but, for the foreseeable future and in the power of the Holy Spirit, I am confident that Alpha will be one of the mainstays of our evangelism and spiritual foundation-building. Following a commitment to Jesus in 1981, Peter helped shape the initial Alpha Course; subsequently serving as the Alpha Chaplain for Sub-Saharan Africa. In 1985, he was part of a church plant from Holy Trinity Brompton, London, to St. Barnabas, West Kensington, where in 1991 he joined the staff as associate pastor. Peter is married to Margaret and they have two daughters - Muskoka and Keziah. In 2004 their family came to Canada when Peter was called as pastor to St. Johns, Oak Ridges. Once expected to close, a simple sharing of the gospel through the Alpha course has been key in the building up of this now thriving community of faith.